It is not difficult to understand why Italy is such a popular tourist destination. The country is blessed with beautiful countryside, a magnificent coastline and a pleasant Mediterranean climate. The food, wine and people are just icing on the cake! The capital city of Italy is Rome. Many travellers visit Rome to experience the ancient Roman ruins including the Coliseum and Roman Forum. The Trevi Fountain and Vatican are also top attractions. The Naples region is also magnificent. 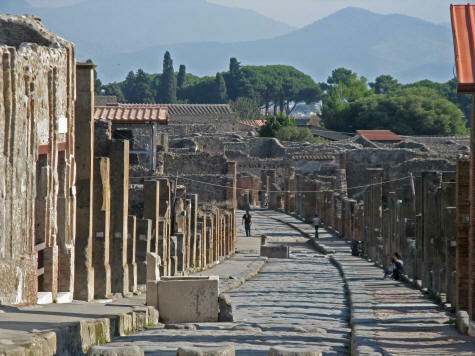 Make sure to visit Pompei which is located on the outskirts of the city. This town was frozen in time for hundreds of years when Mount Vesuvius erupted and covered it with volcanic ash. Thousands of historical artifacts were retrieved from Pompei and are now are on display at the National Archaeological Museum in Naples. Sorrento is a great place to stay when visiting the Amalfi coast. Enjoy day trips to the towns of Amalfi, Positano and Salerno. A boat trip to the Island of Capri is also recommended. There are three amazing cities to visit in northern Italy: Milan, Venice and Bologna. Milan is Europe's fashion capital. Venice is a city with few streets but many canals. Bologna is a city filled with history and architecture. The most beautiful region of Italy is Tuscany. Florence is the largest city in Tuscany and was the cradle of the Renaissance. Visitors can enjoy statues and sculptures by Michelangelo including his most famous one: the Statue of David. Florence is a great walking city and has many picturesque town squares (called piazzas) and fountains. Other lovely towns in Tuscany include Pisa, Lucca, Sienna and Livorno. The northwest coast of Italy is also gorgeous. The port city of Genoa is fascinating. For those that enjoy hiking, the Cinque Terre trail is great. This seaside trail takes you through five ancient towns including Monterosso al Mare and Vernazza. Travelflicks is please to provide over 20 travel guides of Italian cities, towns and regions. Please access them from the menu.